The adjustable length Button-Stud Apple Watch band fits virtually all wrist sizes — from the fleshiest to thinnest! Making Apple’s “most personal device ever” personal to you is super-serious business for one Florida purveyor of handmade leather goods. Echoing the individuality of Apple Watch, Form Function Form takes customization to new levels in the design of its one-of-a-kind Button-Stud Apple Watch Band. 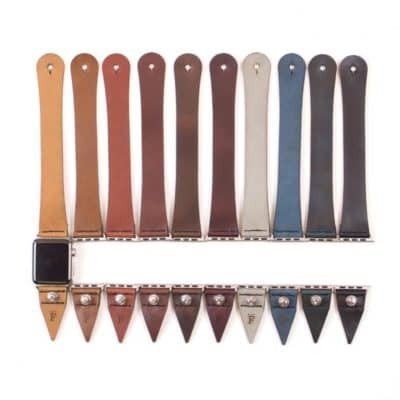 This ingenious leather strap has 21 different size options, one of which is sure to fit even the thinnest or fleshiest of wrists. If it doesn’t, the company provides free size adjustments for the entirety of your life. For something wildly different, Form Function Form’s Button Stud strap does away with any type of buckle or clasp. Why such an exorbitant range of sizes for a single watchband, you ask? The Button-Stud Band does away with any type of buckle or clasp, and instead has a single, stainless steel stud that holds the long, leather band in place. That is, the size and fitting need to be precise as there is no adjusting once on the wrist. Determining the perfect size is easy. Get ahold of a rubber Apple Sport Band, and figure out which fits your wrist: S/M, M/L or XL. Next, pick the hole number from 1 to 7 on the Apple Sport Band (1 being the tightest hole and 7, the largest). When you place an order for, say, a M/L 6 Button-Stud Band, it will be custom-made to these specs. Each strap is laser-cut, hand-burnished and stitched from fine leather sourced from the 100-year-old Horween Leather Company in Chicago. 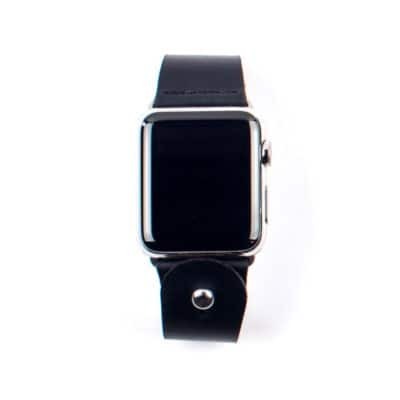 Click-in adapters in stainless, silver, space gray and space black are sewn into the two-piece strap. The button-stud closure is either stainless or black stainless, depending on which adapter color is chosen. 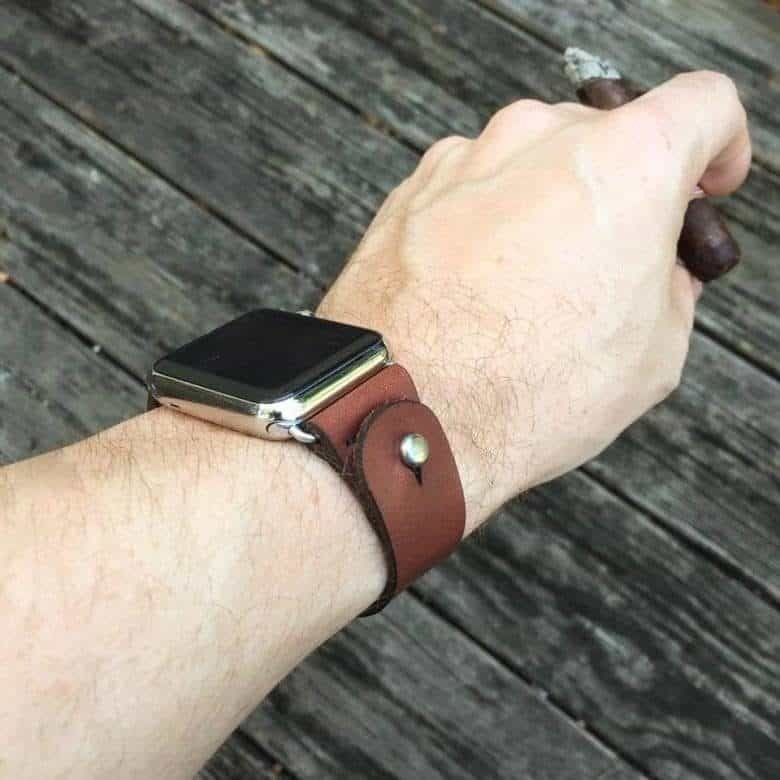 This ingenious Apple Watch band has 21 different size options, 10 different leather colors, and comes with a lifetime warranty. The minimal band is truly unique in appearance and fit, and offers an unexpected bonus I’ve truly come to appreciate: with the buckle-free, seamlessness of the Button-Stud Band, I no longer run the risk of scratching my Macbook’s palm rest or keyboard. Comes in either 38 mm or 42 mm Apple Watch sizes, and your choice of 10 leather colors. Form Function Form provided Cult of Mac with a review unit for this article. See Cult of Mac’s reviews policy and check out more stuff we recommend in our Best List reviews.